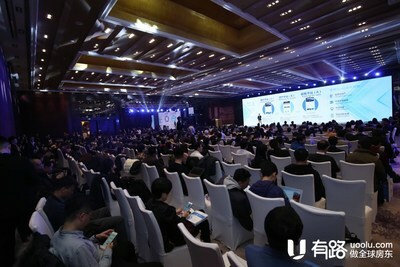 BEIJING, Jan. 16, 2019 /PRNewswire/ — On January 14, 2019, Uoolu successfully held the 2nd Global Real Estate Internet Summit (GREIS) at Millennium Hotel in Beijing. The summit brought together hundreds of developers from 20 countries, as well as lots of renowned media, including The Wall Street Journal, South China Morning Post, and Bloomberg. 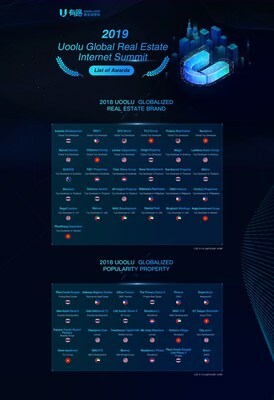 Mr. Huang Xiaodan, the founder and CEO of Uoolu, launched the summit by strategically releasing Uoolu Global Websites, which cover 13 languages and 135 countries. Uoolu is dedicated to building a network that connects global users and global real estate to facilitate cross-border sales and services for over 100,000 real estate developers. Presently, the unique visitors to Uoolu Global Websites have been increasing sharply. Meanwhile, three interesting numbers were showed in Mr. Huang’s speech, 40% of global investment users have need for cross-border investments, 70% of developers have an international business, and 25% of revenue is from international sales. Later, based on big data of global users, Uoolu released two brand new products, U-data and G-sale, which could solve the major problems in cross-border real estate investments. With the help of U-data, developers can realize real-time mastering of the global home buyers’ portrait. At the same time, G-sale, an efficient global marketing solution, enables developers to implement and expand their global sales. Another peak of the summit was Uoolu’s strategic signing ceremony with 17 developers from 7 countries, including Eco World from Malaysia, Ananda from Thailand, Landsea from US, Regal London from UK, SMDC from Philippine, Select Property Group from UK, Oriental Pearl from UAE, Balance Capital from US, and Royal Bridge Capital from UK. This significant cooperation indicated that the “Uoolu Global” strategy has been recognized by its worldwide partners.